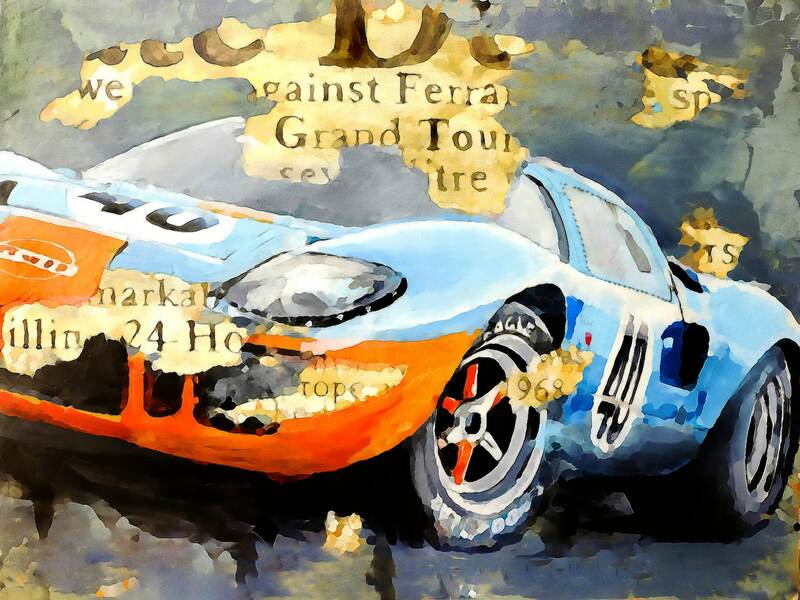 This listing is for a signed print of one of the most iconic racing vehicles of all time--the Ford GT40. Each print is individually produced by the artist utilizing professional imaging technologies and methods. 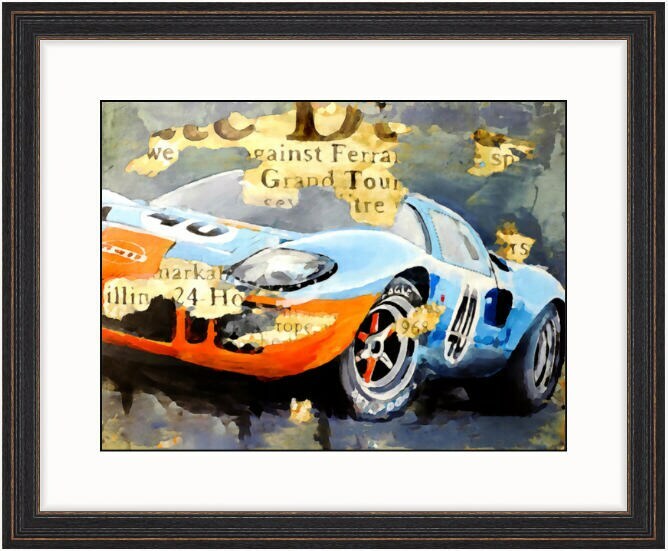 As a result of meticulous standards, our canvas prints retain a beautiful painterly quality that preserves minute and subtle tints, blends and detail of the artist's original acrylic-on-canvas painting. The meticulous reproduction process and the use of archival pigments and museum-quality canvas produce a stunning piece that can easily be mistaken for an original. Larger print sizes are available. Please send a message if you have a particular dimension or material in mind.